A key to successful homeschooling is managing how you spend your time. After twelve years of teaching my children at home, I am still working to better manage my time. The foregoing is our schedule on a VERY good day. We tend to be night owls here, so if we don’t get to bed on time, everything is pushed back in the morning. I have found that I resist regimented schedules and that routines work even better for me. I began establishing good routines years ago when I started getting FLYLady‘s emails. Today I use the well-designed HomeRoutines app on my iPhone. It helps me tremendously to have a reminder of all the subjects I want to teach. My goal, though, is not to complete every single step of every routine I have. If it were, I would be disappointed every day. My goal is to get an A for the day and to get most (90%) of those routines completed on most days. I have also had periods in my homeschooling when I didn’t have much of a schedule. One advantage was not feeling obligated, but free to enjoy teaching. Another was that I was better able to work around my work-at-home husband’s more spontaneous style. A disadvantage was making less progress in important subjects, and finding myself spending too much time online. “What would happen if this were not done at all?” And if the answer is, “Nothing would happen,” then obviously the conclusion is to stop doing it. Which of the activities on my time log could be done by someone else just as well, if not better? What do I do that wastes your time without contributing to your effectiveness? The answers were very revealing. 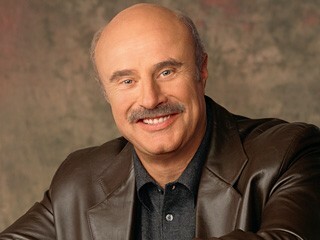 Now I will explain why I have a picture of Dr. Phil at the top of this post. Were you wondering? Dr. Phil, in discussing dysfunctional behaviors with guests, is fond of asking, “How’s that workin’ for ya?” I understand what he’s getting at. He is trying to help people recognize that they are experiencing negative effects of bad choices. But here’s the problem with that question. If you have to ask the question, it must still be working for them. They’re still getting something out of overeating, the procrastination, and the refusal to communicate or they wouldn’t keep doing it. You may still be confused. The last question I asked myself about each activity I invest time in really brought me up short. “What do I do that wastes your time without contributing to your effectiveness?” This question was obviously designed for people in a traditional workplace. But as homeschoolers, we don’t have bosses or administrations. Or do we? I realized that all that I have, including my children and my time, are God’s. He has given me the job of educating His children. I had to answer the difficult question of what I am doing to waste His time without contributing to His overall effectiveness. It became clear to me that I couldn’t figure out a good schedule for our homeschool without reflecting on God’s goals for my children. Here’s the connection. I might think that web surfing for hours while my children play video games is workin’ just fine for me, but there is no way I can think it’s workin’ well for His purposes for me and my family. As you seek to create or recreate your homeschool schedule, pray about how God would use your family to increase His effectiveness.